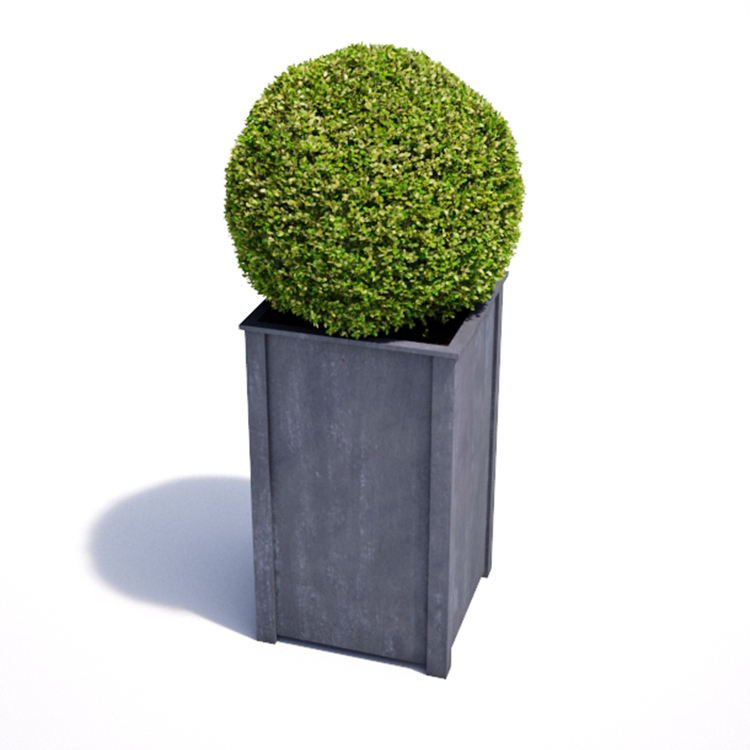 This tall metal planter offers a contemporary design than timber. The zinc galvanized finish weathers to a light grey patina, similar to lead. A heavy duty design, fully welded from solid steel for a robust, maintenance free solution. This new range of steel planters is designed and made by us using British steel. The legs, sides, base and top lip are fully welded together to create a stable, heavy duty planter suitable for external use. 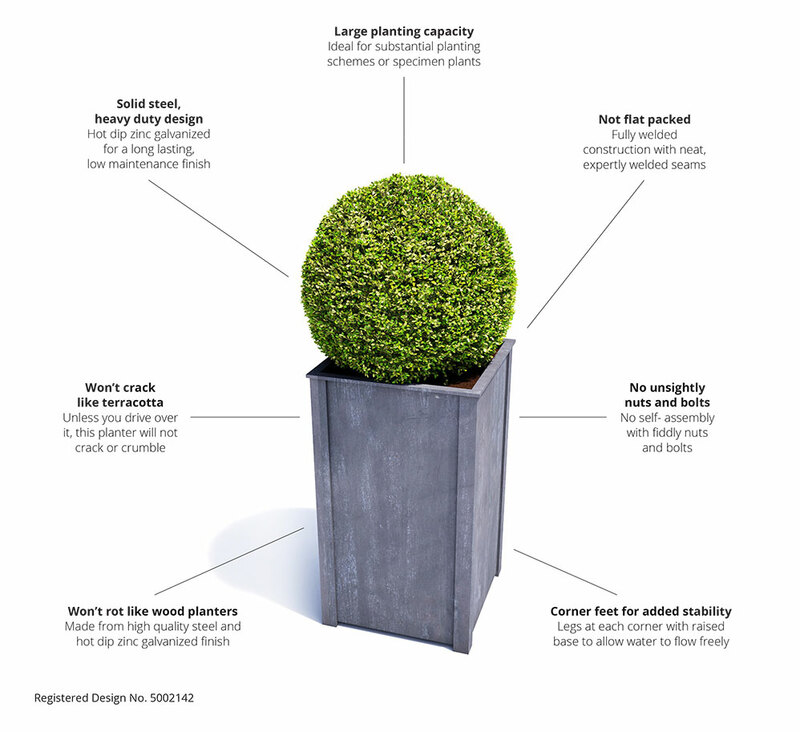 With drainage holes in the base and a hot dip zinc galvanized finish, this heavy duty planter has a rust-resistant finish for minimal maintenance. Bespoke planter sizes available.